I have always enjoyed and been confident in my own abilities to draw and happily no-one ever told me that I couldn’t, so I studied Graphic Design at Swinburne for two years and life drawing and portraiture at East Sydney Tech. Although I enjoyed very much the life of the art student I feel that the best instruction I received was working privately in oils with the late Leslie Sinclair at Monsalvat in 1985. I appreciated greatly her expertise in tonal impressionism and her honesty and quiet humility. I also benefited from the tuition of the late Allan Martin at his studio in Eltham. I have never had lessons in pastel but know that my grounding in oil paves the way perfectly for pastel. I had two young sons when I found it more and more difficult to juggle the busy lifestyle with the restrained requirements that go along with working in oil. Not so, with the get up and go of pastels. A friend and fellow artist Claire Nailer introduced me to the medium in 1987 and I have been using it happily ever since. 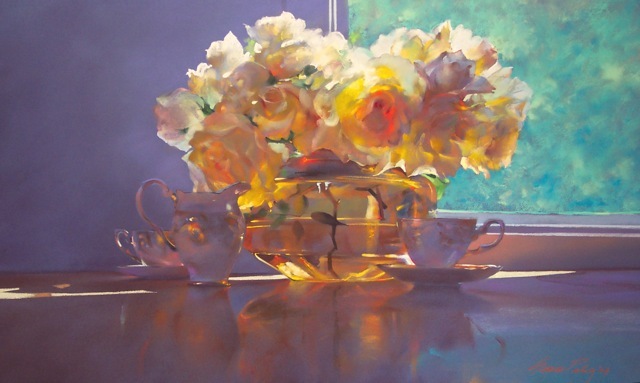 I began exhibiting in 1990 and joined the The Pastel Society of Victoria Inc. in 1993. My late husband John was very supportive of my fledgling career and we were to spend 17 wonderful years in the hills of Kinglake before a move in 1994 to the south coast of N.S.W. There I opened the Grace Paleg Fine Art Studio Gallery two years later. It is from here that I continue to work and teach local students as well as workshops for various groups around Australia, especially the PSVA. I also do a lot of private workshops for one or two students and with this in mind I invite my “old family” in Victoria to visit. I can arrange accommodation at very reasonable rates for your holiday stay here in Batemans Bay if needed. 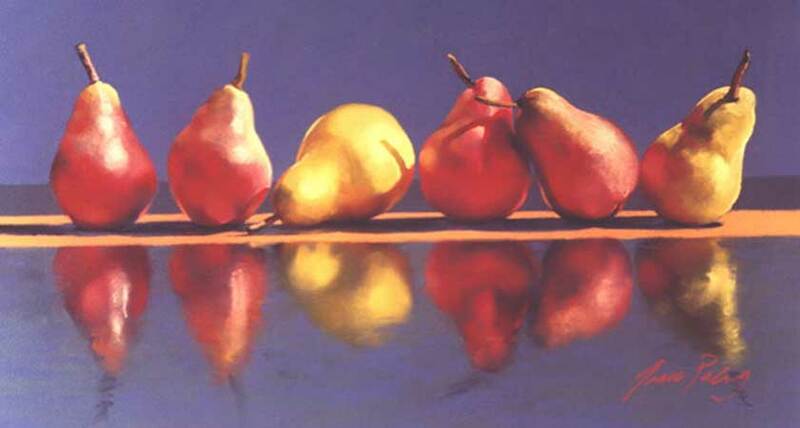 I have maintained my subscription to The Pastel Society of Victoria and I enjoy reading about my fellow artists so it was nice to be invited to submit a profile. It seems to me it doesn’t really matter were you live, art has no boundaries and it unites those that pursue it.